All-ages friendly, universal design bathrooms can be visually appealing, safer. Series note: Over the next several weeks, the Livable San Diego series will go room by room to provide tips and suggestions to help make homes more user-friendly, accessible, comfortable, energy-smart and beautiful. 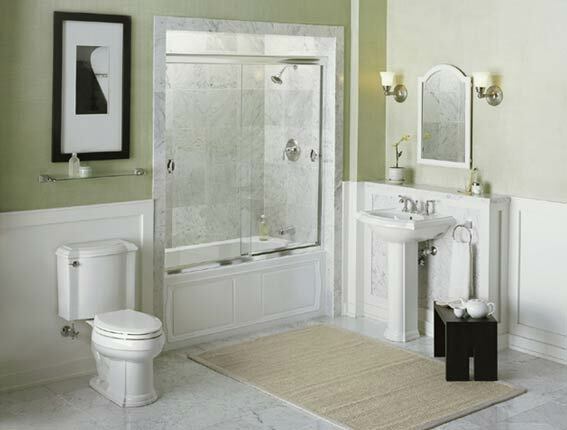 When it comes to a home’s bathroom, more likely than not, there is a lot going on in a relatively small space. When mere inches can make the difference between independence and dependence, the question follows: how can the greatest usability be achieved within very tight constraints? Explore articles in magazines and/or on the Internet that show good examples of universal design in bathrooms of similar size to your own. Once you have a good picture in mind, put down on paper what you really like. If you are still not sure of what will work best for you, it might be wise at this time to retain an expert and highly reputable design/build professional, fully knowledgeable of universal and accessible design to assist you. When hiring a design/build contractor, make sure you learn all you can about universal (aging-in-place) design and accessible design beforehand. If you consult with an expert, make sure the person is far more than just CAPS-certified, but also can show you at least three successfully completed universal design and accessible design projects. It is recommended that you hire only licensed contractors with license numbers, which can be found online at cslb.ca.gov or by calling (800) 321-2752, ext. 1. Other useful resources can be found at livablehomes.org. This is also an excellent time to think seriously about how to prevent injuries due to falls in the bathroom when designing and before beginning renovations. Planning for future needs is good practice by utilizing universal and accessible (when needed) design features, which encourage flexibility, adaptability, safety and efficiency through all stages of life. Other items to consider, once a vision is in place for a bathroom remodel, include flooring, walls, plumbing, windows and ventilation products, plus quality lighting. Additionally, finishing touches such as bathtubs, curb or curb-less shower, walk-in tub, toilet, vanity, faucets, mirrors and safety bars are important to include, and will all be covered in future Livable San Diego articles.